Next lets check the system-wide view. On linux, most people use the top command to see what’s happening system-wide. 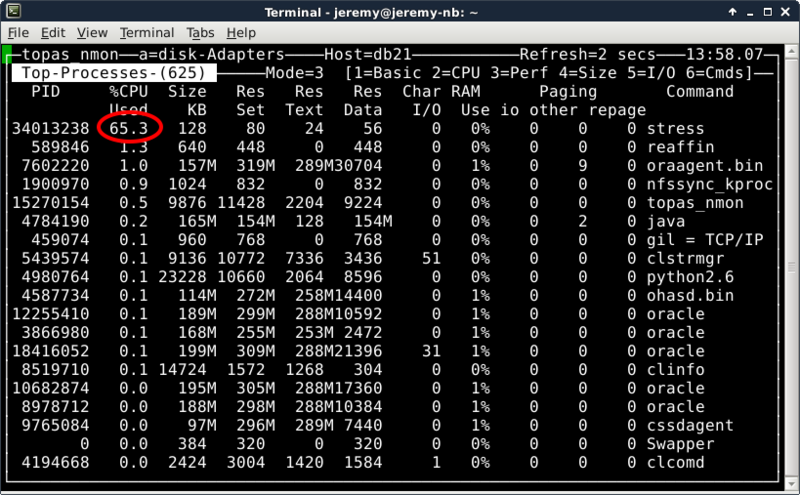 Top shows a list of processes and estimates how much time each spends on the CPU. Note that the “top” utility is using the /proc//stat file to get kernel-tracked CPU time rather than libc calls – but this still returns the same data as the “time” command. It then divides by wall-clock time to express the CPU time as a percentage. 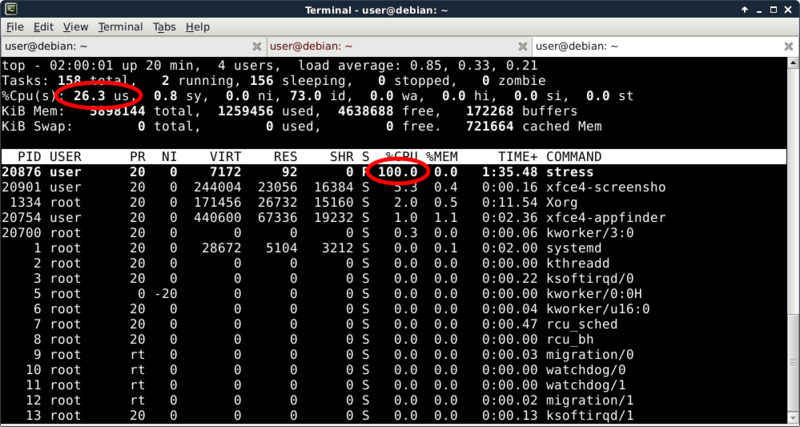 If two processes are running on one CPU, then each process will report 50% CPU utilization (in the default Irix mode). https://ardentperf.files.wordpress.com/2016/06/aix-topas.png?w=300&h=186 300w" sizes="(max-width: 150px) 100vw, 150px" />On a side note, the %ec column is showing the physical consumption as a percentage of entitled capacity (2 processors). My supposed 65% utilization of a processor equates to 32.6% of my system-wide entitled capacity. 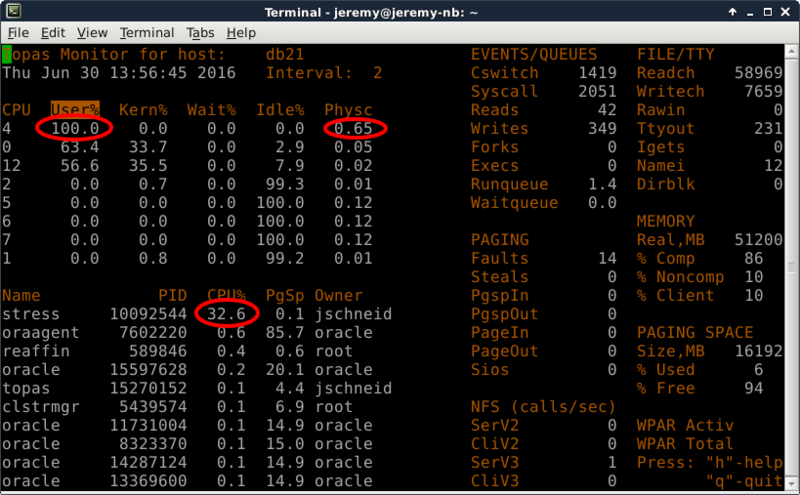 Not coincidentally, topas shows the “stress” process running at 32.6% (like I said, solaris-style).